Davisco specializes in developing, implementing, and supporting web-based time and attendance solutions for medium and large organizations, even those with complex pay rules and requirements. Davisco has over 35 years of experience in providing turnkey software solutions to organizations of all sizes, including Fortune 500 companies and government. Now available: MyBusBuddie.com - A suite of onboard real time applications, including GPS, Rider Tracking, Vehicle Safety/Maintenance Checks, and Time and Attendance. 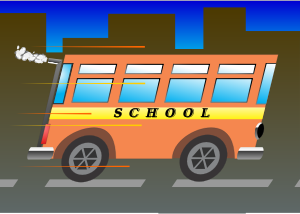 These tools increase safety and reduce costs for school buses, truck fleets, service agencies, and any business with mobile requirements. We have reliable staff ready to help you find a solution. We strive to provide our customers with the right solution, recognizing that every customer is unique. Please contact us if you have an interest or question about what we offer. We will make sure that you receive a speedy response!